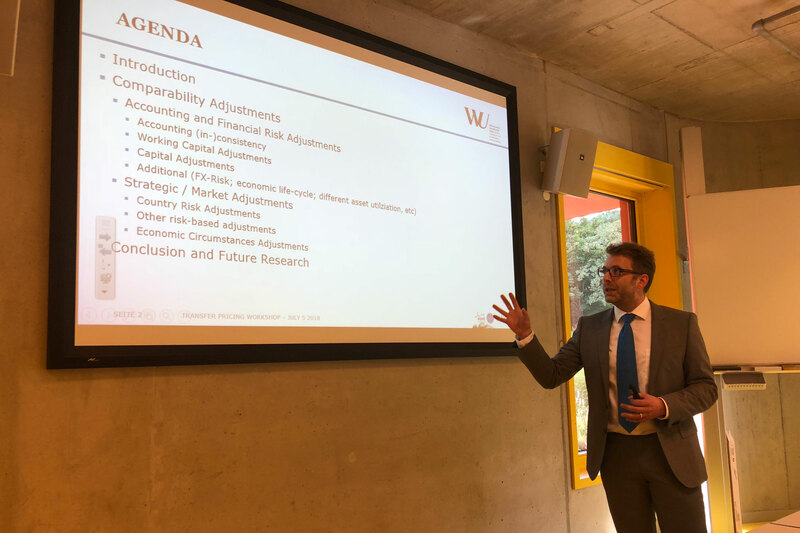 TPED was invited to speak at WU Transfer Pricing Center at the Institute for Austrian and International Tax Law, WU (Vienna University of Economics and Business). Dr. Matthias Petutschnig, member and Associate Scientist of TPED, introduced the discussion with a presentation of the comparability adjustments literature review Research Paper he has prepared, as part of TPED’s Comparability Research Project (2018-2019). TPED President Sébastien Gonnet presented on: How to apply the arm’s length principle without comparables: a major challenge in emerging/developing economies.